If you are doing business travel with expensive digital media equipment, one of the most important questions that should ask yourself is what is the best way to travel while keeping my equipment safe? Companies spend hundreds of thousands of dollars every year on digital equipment, spending extra money on lost, broken, or stolen items. That is why when it comes to carrying digital media equipment for business travel, it is important to get the absolute best in custom carrying cases. These are all events that happen very quickly. There is no time for you to arrive at your destination with broken equipment or lost or stolen pieces. You may be able to get a quick repair or buy new, but that is simply putting stress on you and financial strain on your business. That is why custom-carrying cases for your equipment are a must-have in your corporate travel budget. 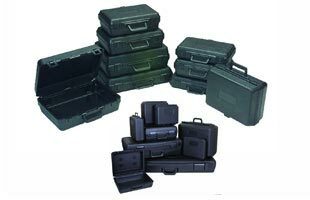 There are several issues to think about when planning to purchase custom carrying cases for your digital media equipment. What equipment are you traveling with? A flat screen monitor will require a much different case than cell phone equipment. What kinds of events are you travelling to? If you do lots of trade shows or vend at conferences, you may be in need of an all-in-one custom carrying case solution. While these items make it easier to keep everything you need in one place, these items are also much larger and heavier than a case the size of a piece of carry-on luggage. Be prepared to bring extra hands, or hire the proper help to make traveling much easier. What equipment will you keep on your person vs. pieces that will be checked on an airplane? Many companies enjoy having a case specifically built for their laptop that also includes the safeguarding of peripherals like an extra hard drive or an extension cord. Those can be easily carried as a piece of carry-on luggage.